Another one. This time a 30 save shutout of the Lehigh Valley Phantoms which punches Wilkes-Barre’s ticket to the postseason for the thirteenth consecutive season. Murray’s twelfth shutout, one off of the AHL record, Penguins are in again. 3-0 blanking of Lehigh Valley tonight. Dammit, let’s make this one count. Lucky 13, or something like that…. Before we get to the recap, some news, old and new. First, the Penguins signed a guy by the name of Steven Shamanski to a PTO this week. He was with ECHL Elmira. He is an offensive defenseman. Call it an insurance policy if any more defensive bodies have to go up to Pittsburgh. Before his work in the game tonight, Matt Murray was named to the AHL All Rookie Team today. This is going to be the first of many times you will see me and other actual media outlets type, “Matt Murray was named…” regarding postseason awards. J-S Dea and Josh Archibald were sent to Wheeling as the Nailers visited the Reading Royals. Results of that game later in this post. Goaltender Tristan Jarry was assigned to Wilkes-Barre from his junior team, the Edmonton Oil Kings. Kasperi Kapanen made his AHL debut. New guy Steven Shamanski was a took warmups but was a healthy scratch. Adam Payerl was the only other healthy scratch with Dea and Archibald in Wheeling. Carter Rowney returned from injury. First Period: On his second AHL shift, with his first shot, Kapanen put the Penguins ahead with this…. Kapanen pounced on a turnover at center ice, swooped in and zipped a shot over Zepp’s glove. He is the first Penguin since Scott Harrington to score on his first shot in his first game. Oh, Jonathan had mined an absolute gem on Kapanen too…. Here’s a better look in GIF format from Springfield…. Later, Matt Murray made three, maybe four, quick saves in close in succession on Taylor Leier and Andrew Gordon to keep the Phantoms off of the board. Game was opening up a bit with chances at both ends. Penguins had some late power play time that carried over into the…. Second Period: Penguins didn’t score on the carryover power play opportunities. Wilkes-Barre continued to get power play opportunities, then Jay Rosehill took an elbowing penalty, argued and was assessed an additional penalty so it was a 4:00 penalty for the Penguins. Tom Kuhnhackl made them pay…. What a pass there by Kasperi Kapanen to get the puck to Kuhnhackl and better deflection up high on Zepp. Needed goal given the situation, the Phantoms were basically a shot away from tying the game. Third Period: The Penguins manufactured 20 shots in the second period, but were held shotless for a large portion of the third period. I wasn’t quite sure that the game had a full on playoff intense feel to it, because the Penguins were up by two and the Phantoms are well out of playoff contention, but it did feel like Wilkes-Barre was nursing the lead for portions of the period. The Phantoms weren’t rewarded a full 2:00 power play the entire game. Late, Danny Syvret hooked Blair Jones out of necessity as both were pursuing a bouncing puck. It was a Phantoms power play. After a time out, the Phantoms pulled Zepp giving Lehigh Valley a 6-on-4 power play chance. They buzzed and buzzed late, looking to bust up the Murray shutout, but Tom Kuhnhackl buried this empty net, shorthanded goal…. It was just a matter of time at that point. Worth noting: Matt Murray has 12 shutouts in 38 appearances. AHL record is 13, which Jason LaBarbera set in 03-04. He played in 59 games. Around the Division: No one else played. Worcester on back to Portland at the eight have a game in hand (70 hames played to the Penguins 71) but that isn’t an issue at this point. A three point cushion on home ice for round one with five games to play. 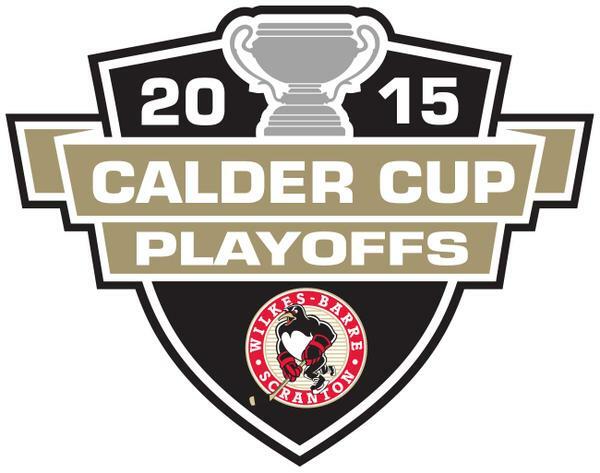 Wheeling Update: The Nailers won a big game in Reading tonight by a score of 2-1. Josh Archibald had a goal, J-S Dea assisted. Penguins come home to pack up and hit the road for Portland likely tomorrow. Still lots to play for. I conceded the East Division to Hershey weeks ago, but the Penguins aren’t out of it yet, so who know what can happen. More pressing will be sealing up the four seed for home ice in the first round. We are back in the best party in town. Don’t get thrown out before the party is over. Be the life of the party. Remember, 13 is the lucky number. Get in.